This is a Great Time to Plant! • Trees and shrubs so they will be established by summer. Avoid planting cold-tender plants such as: gardenia, oleander, and non-cold hardy palms. Transplant existing shrubs/trees that need relocating. • Pecan and fruit trees, blackberries, and grapevines. • Candytuft, hellebores, pansies, snapdragons, phlox, stock, dianthus, oxalis, heuchera & more for color. • Herbs & cool-season vegetables such as onions, potatoes, asparagus, cabbage, broccoli, cauliflower, Brussels sprouts, lettuce, artichokes, spinach & more. • Trees as needed to remove mistletoe, dead or damaged limbs, and unwanted roots–limit removal to 1 or 2 significant roots each year. Don’t “top” crape myrtles & trees. Good time to prune Oaks to avoid Oak Wilt. • Shrubs/vines needing heavy shearing/re-shaping (not spring flowering shrubs/vines e.g., spirea, azaleas, hydrangea, quince, forsythia, Caroline Jessamine, wisteria, which can be pruned after they finish blooming). • Groundcovers: Asian jasmine, mondograss, and liriope to remove old and damaged growth. Scalp lawn late in the month. • Rose bushes up to 50-60% and climbers according to variety. Remove diseased/dead branches from all roses. • Fruit trees to encourage stronger limbs. Remove vertical shoots to 10’ on peaches/plums before buds swell. • Grapes to remove 80% to 85% of their cane growth. • Container plants, beds, shrubs & trees as needed to keep healthy and before a freeze to reduce damage. 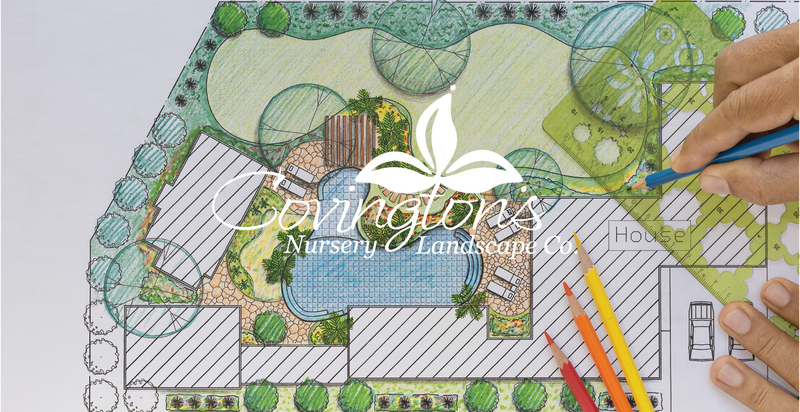 To improve water retention, add Soil Moist & Expanded Shale (or Covington’s Soil Builder) when planting. • Top dress landscape/flower beds with a 2-3 inch layer of mulch to help retain moisture, reduce weeds and maintain soil temperature. Keep frost cloth on hand & cover tender plants to protect from freezing weather. • Trees installed for less than two years must have special care to ensure a strong and healthy root system. See our Plant Article Tree Care for the First Two Years for all the details. • Annual & perennial flowers with Covington’s Premium Flower & Garden Fertilizer or Hi-Yield Blood and Bone Meal. • Newly planted trees and shrubs every 3-4 weeks for the first year with Ferti.lome Root Stimulator. • Houseplants with Ferti.lome 20-20-20 Water Soluble Plant Food. • Pecans at bud break with Hi-Yield Zinc Sulfate. • Herbs and vegetables with Covington’s Premium Flower & Garden Fertilizer or Ferti.lome Gardeners Special. • For grassy & some broadleaf weeds, apply Hi-Yield Dimension pre-emergent now to prevent most spring/summer weeds; use ferti.lome Gallery pre-emergent for dandelion & tough broadleaf weeds. • Spot treat broadleaf weeds such as dandelion, henbit & clover in St. Augustine or Bermuda grass with ferti.lome Weed Free Zone (effective to 40º). • Spot treat nutsedge and crabgrass with Bonide Sedge Ender. • Keep fallen leaves off your lawn—they compact and trap moisture which can lead to turf diseases. Apply Bonide Infuse to St. Augustine for fungal infections such as Green Leaf Spot & Brown Patch. For added protection, spread ½ inch layer of Canadian Brown Sphagnum Peat Moss on infected area & water in. • To prevent crown rot in palms, drench the heart of the palm with Ferti.lome Systemic Fungicide after the cold snap is over. Use same product for powdery mildew, disease & fungi on hawthorn, photinias, roses, etc. • Start spray program for fruit and nut trees. Use ferti.lome Triple Action or Bonide Fruit Tree Sprays. • Control aphids, spider mites, mealy bugs, other problem insects with Bonide Systemic Insecticide. • For fungus gnats in houseplants, use Hi-Yield Systemic Insect Granules. • For best control of scale use Hi-Yield Dormant Oil Spray or Bonide All Seasons Spray Oil. • Kill borers in trunks of trees with Ferti.lome or Bonide Systemic Insect Drench which protects for months. • For rabbits, use Rabbit Scram and/or Bonide Repels-All Spray. • Use Hi-Yield Fire Ant Control on fire ant mounds and infestations. • Newly planted trees and shrubs with Liquid Fish & Seaweed to help prevent transplant shock, increase beneficial microorganisms, and encourage root development. 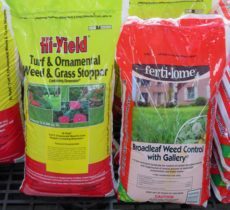 • Flowers, perennials, and roses with Happy Frog Acid Loving Fertilizer. • Turf, shrubs & trees with Good Natured Texas 2-Step Fertilizer; or use Natural Guard All Purpose 4-4-4 for shrubs and trees. • Vegetable gardens with Happy Frog Tomato & Vegetable fertilizer. • Use Corn Gluten Meal 9-0-0 to feed turf and prevent weeds. Also spread Dry Molasses to enhance weed control and encourage healthy soil. • Apply Garrett Juice Plus once a month to your landscape to increase beneficial micro-organisms in the soil and to reduce the need for water. • Add Texas Greensand for deep greening in lawns, trees and landscape plants. • Spot treat grassy and broadleaf weeds with 20% Vinegar. Add 2 oz. of Orange Oil per gallon of vinegar during warmer days to enhance the kill on weeds and grasses. • Keep fallen leaves off your lawn—they compact and trap moisture which can lead to turf diseases. Apply Horticultural Corn Meal on landscape plants and vegetables for disease control. • Use Mosquito Bits Granules containing BTI for fungus gnats in house plants. • Use ferti.lome Come and Get It Spinosad Bait for protection from fire ants. To treat individual fire ant mounds, use 3 to 4 ounces of Orange Oil per gallon of water as a drench. • Spray Orange Oil in areas infested with pillbugs, sow bugs, ants and spiders. • For cabbage loopers on cole crops, use Natural Guard BT at dusk or Spinosad. • For bugs & fungus use ferti.lome Triple Action Plus containing Neem Oil. Safe to use on fruit trees. • Protect ripening fruit from birds with Bird X Netting. • Spray Bonide All Season Oil for scale on holly, crape myrtles & fruit trees. • Control slugs & snails with Bonide Slug Magic or Sluggo Plus with Spinosad. • Use Diatomaceous Earth for crawling insects. • Use eco-friendly Armadillo Repellant in a convenient hose end sprayer to get rid of armadillos. • Use Rabbit Scram and/or Bonide Repels-All Spray to deter pesky flower-mulching rabbits. This is a great time to plant trees and shrubs, and our Garden Center is open 7 days a week to assist you with all of your plant wants and needs so you can be successful in your garden and landscape.